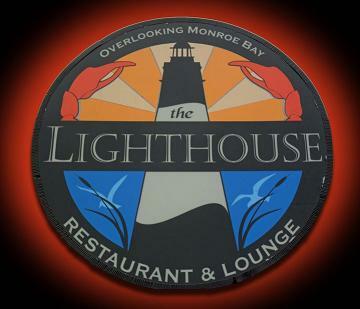 The Lighthouse Restaurant menu has been updated and now features French-American cuisine. The place originally opened at the end of January 2011. It's next to the Bayside Marina on Monroe Bay Avenue. The Blunt brothers opened the venue. Folks may remember this location as the former Happy Clam (after Hurricane Isabel took it from where it sat next to Wilkerson's in 2003). It's also the former site of The Landing. 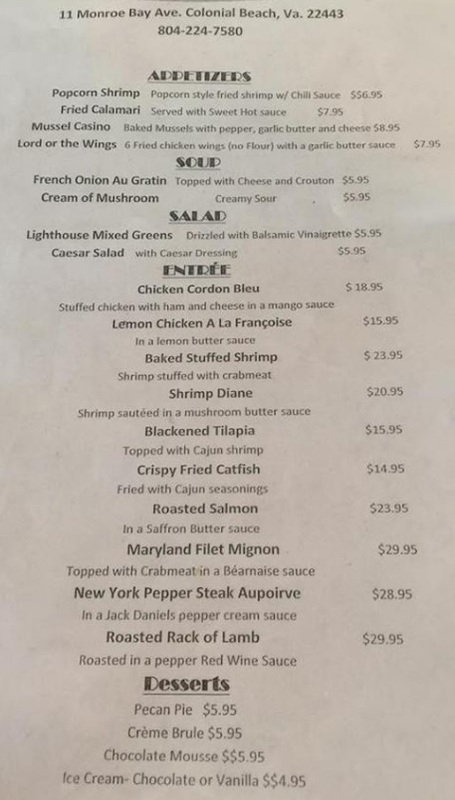 Well, now it is The Lighthouse and it's a great place to enjoy your favorite Thai and French food dishes while taking in great water views of beautiful Monroe Bay. There's a view of the sunset from every seat in the house! Music lovers will love it here as well, as live bands perform here. "Old School" played shortly after opening day and "One Man Band" performed in the hours leading up to their Super Bowl Party in 2011. 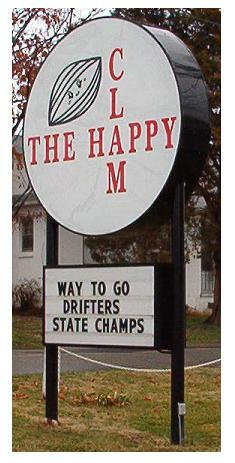 (NOTE: As of 2013, bands do not currently play at this location). 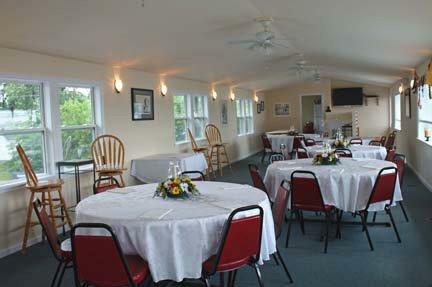 Here's a shot of their upstairs Quarterdeck Lounge, which is dedicated to the memory of Dockmaster Charlie Robertson. 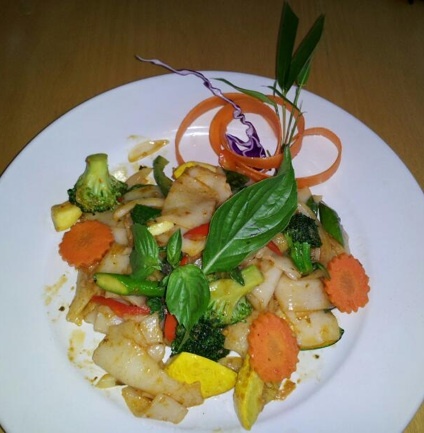 The lounge holds 55 people and is available for wedding receptions, birthday parties, anniversary celebrations or any other special event. There's even a Trolley stop right out front, so you can use that method to get here in the spring and summer months. 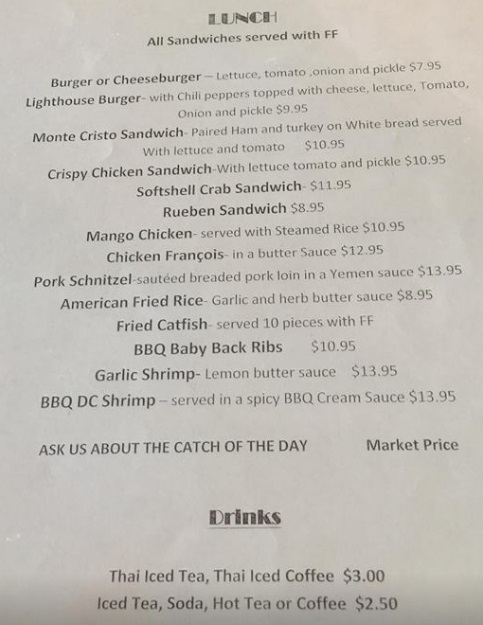 With extended hours (not all restaurants in Colonial Beach are open year-round) indoor and outdoor dining, and a full bar along with all the other features mentioned above, The Lighthouse Restaurant and Lounge is sure to stay busy!